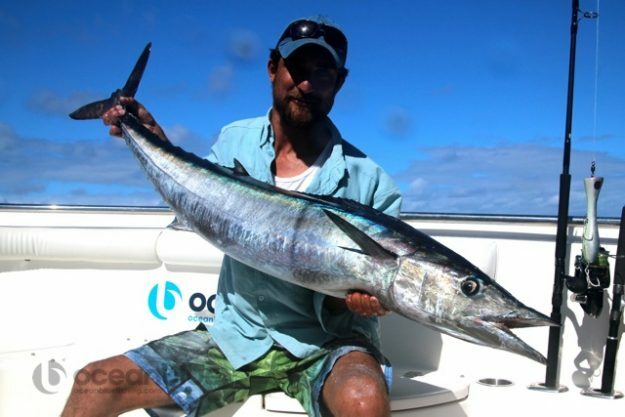 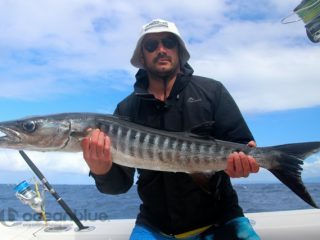 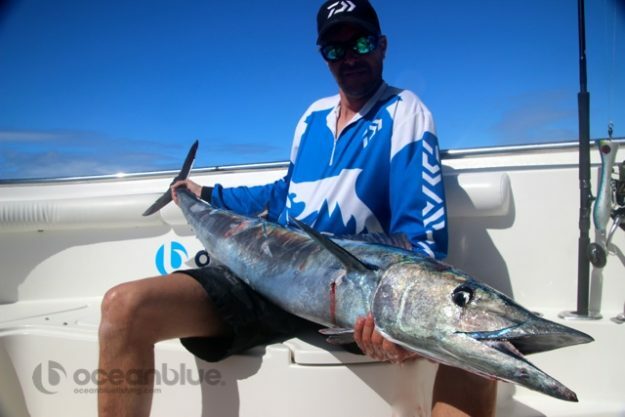 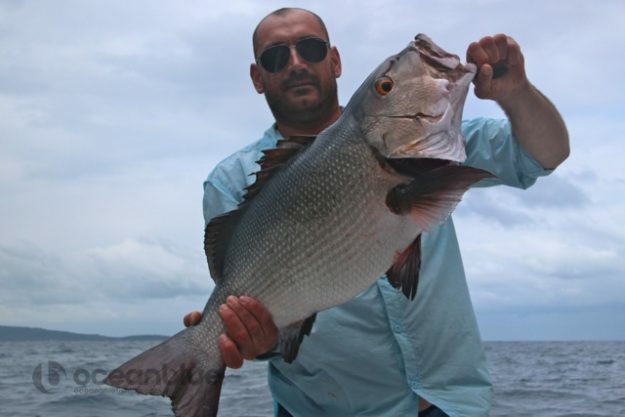 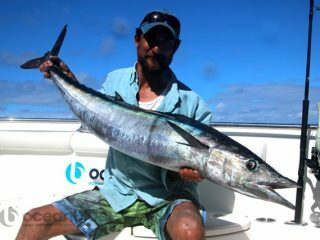 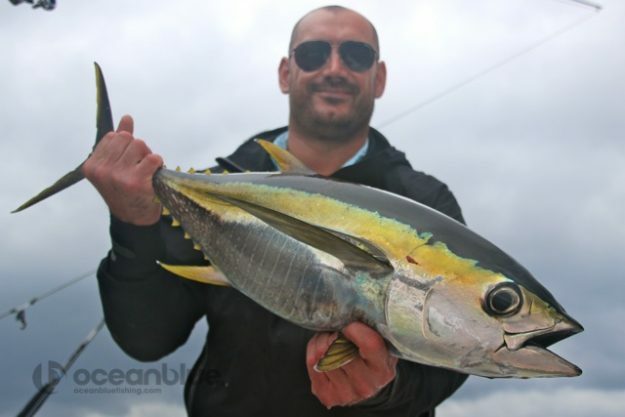 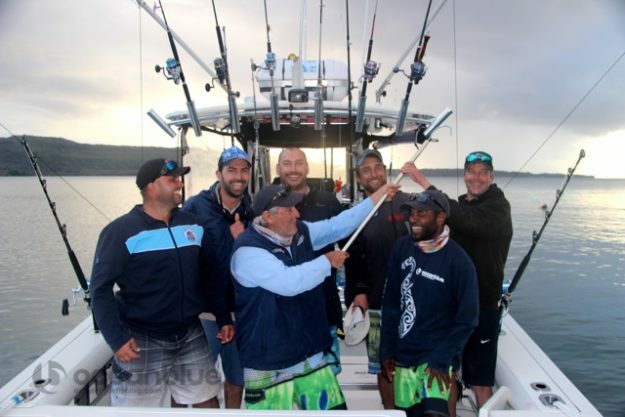 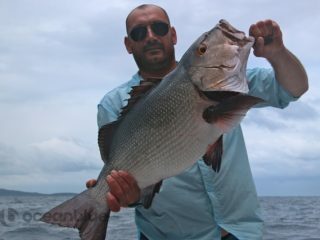 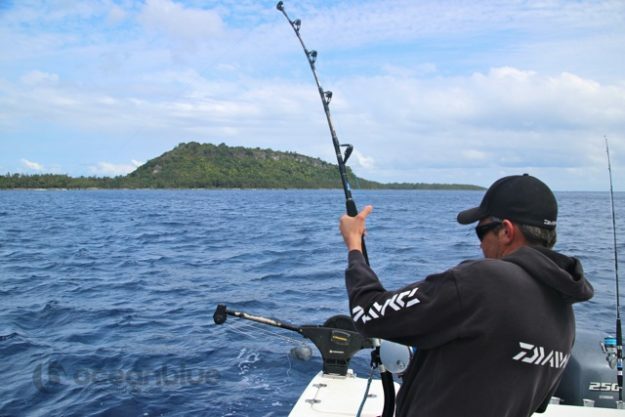 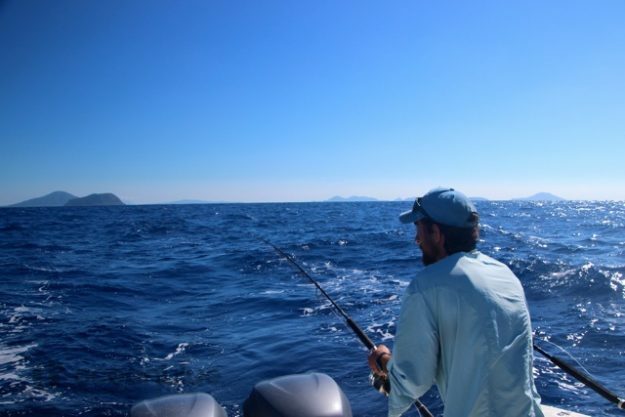 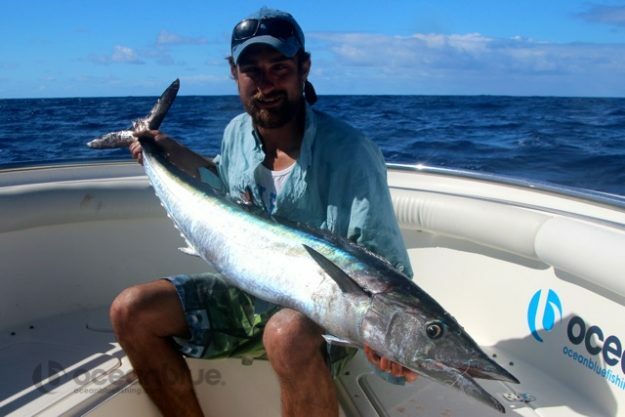 Ocean Five Vanuatu Sports Fishing Tale! 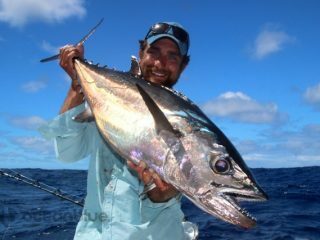 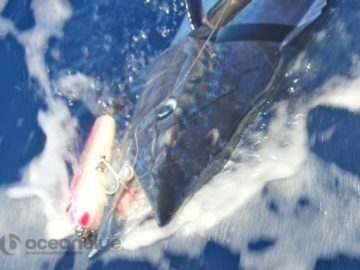 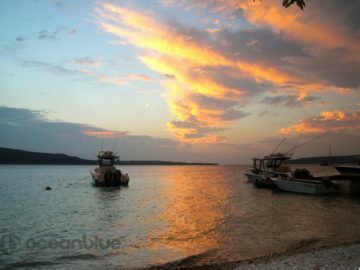 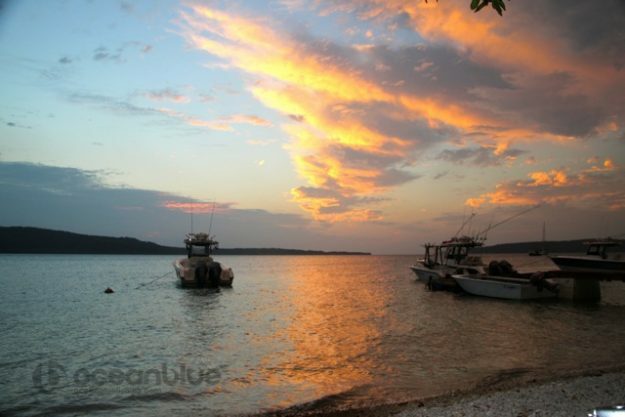 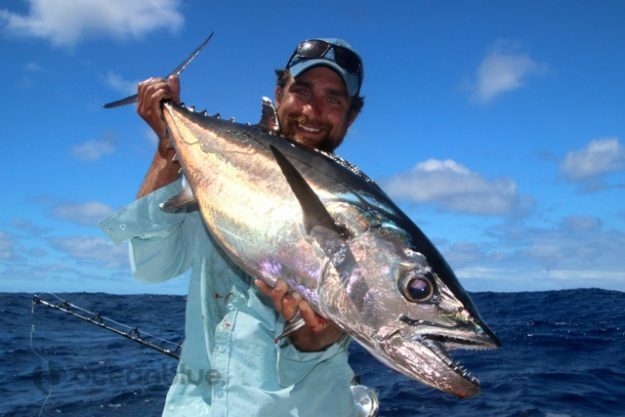 Vanuatu over the years has been well known for it’s world class Blue Marlin and drag scorching Dogtooth Tuna. 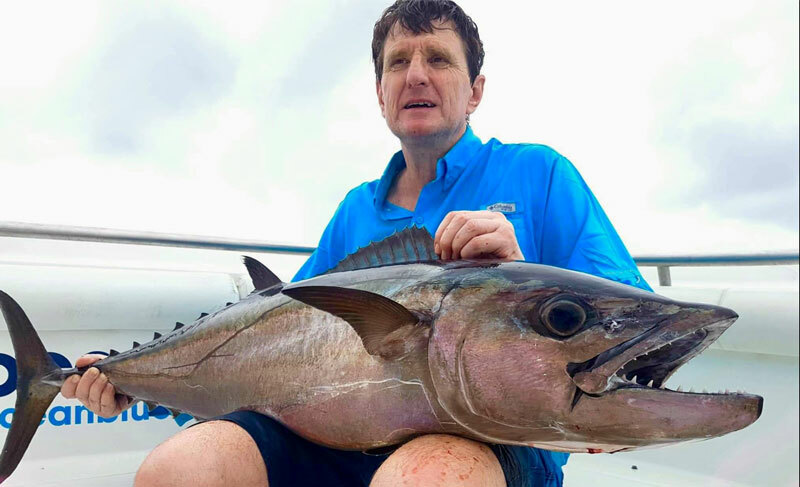 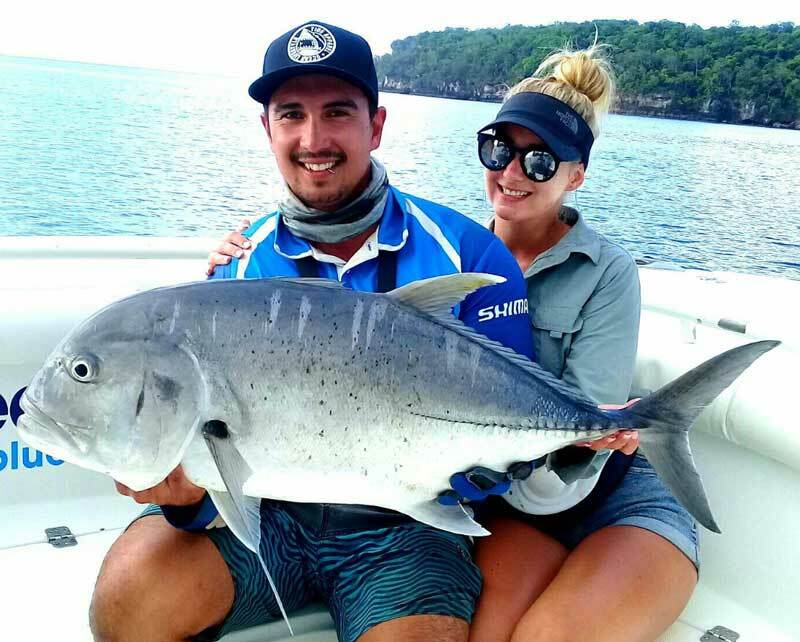 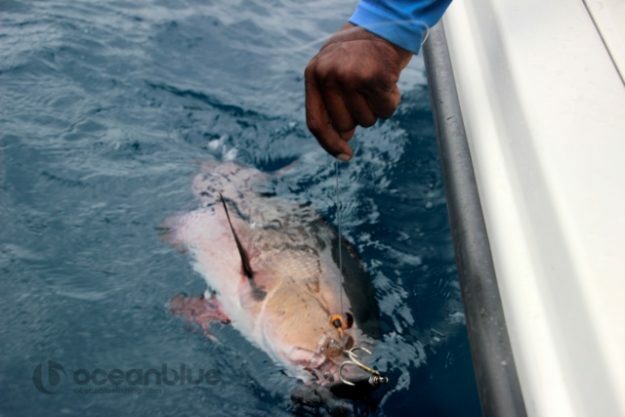 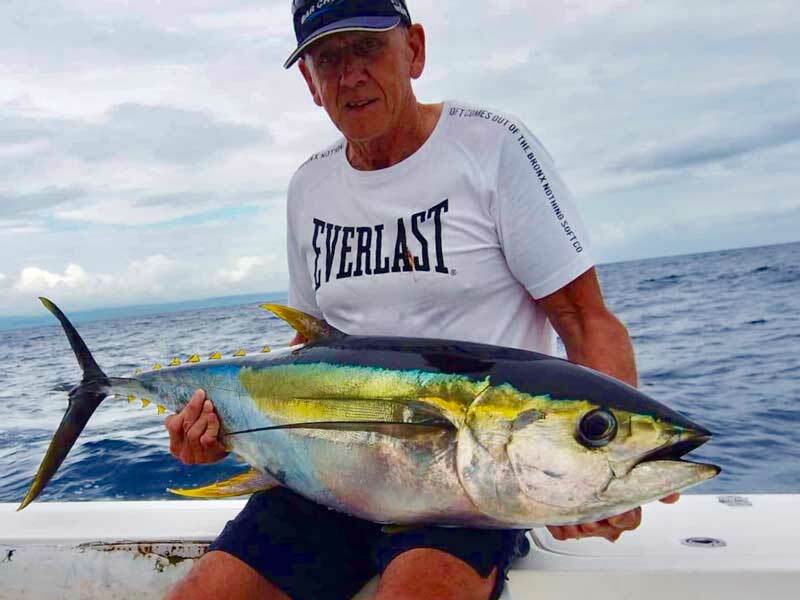 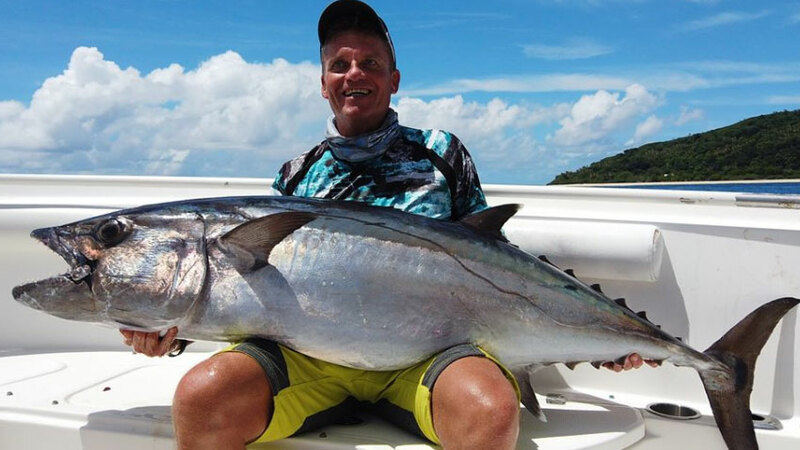 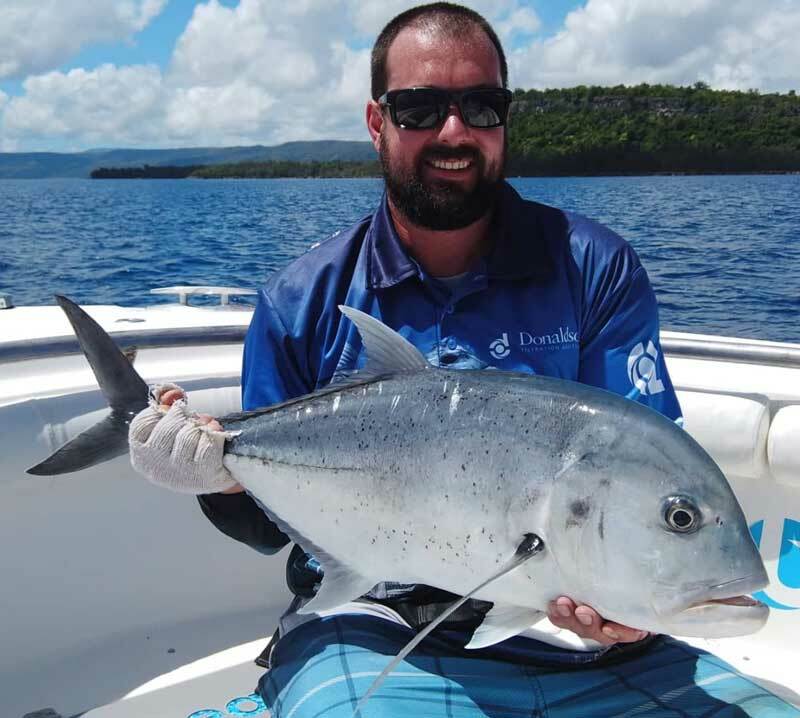 The fish species don’t just stop at those with anglers being fortunate to fish Vanuatu for a variety of bluewater and sports fish species available all year round. 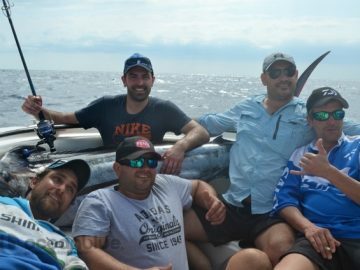 This August we had the pleasure in welcoming five mates, Steve Rezo, Ante Pavkovic, Denis Tokic, Pablo Pinzon and Stripe Radic, to our anglers lodge Trees and Fishes for a solid five days sports fishing adventure. 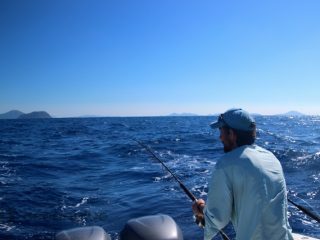 These Ocean fives were budded up with our guide Eric Festa, which was soon to be a memorable and eventful few days. 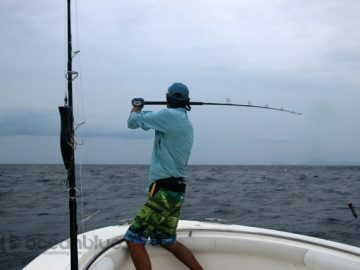 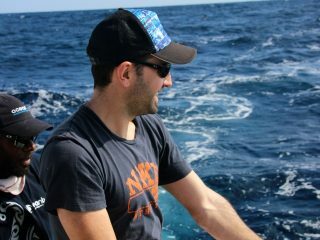 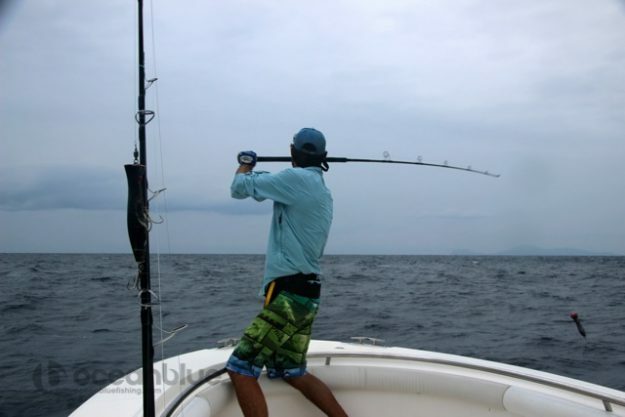 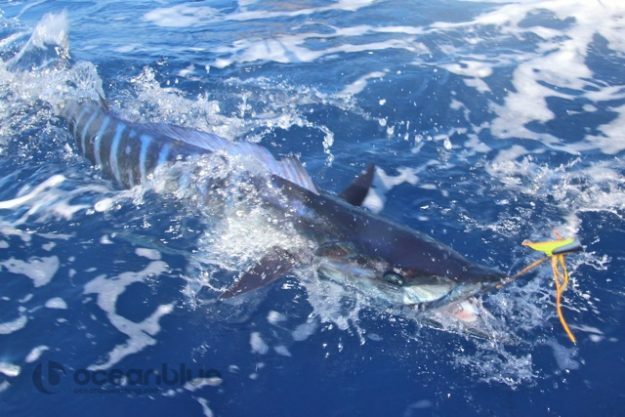 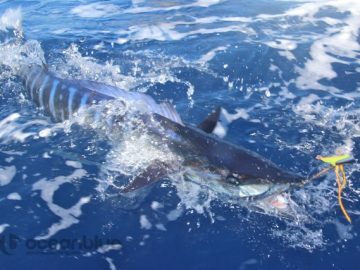 Day one saw the anglers explore the marlin highway located only minutes from our lodge by slow trolling poppers. 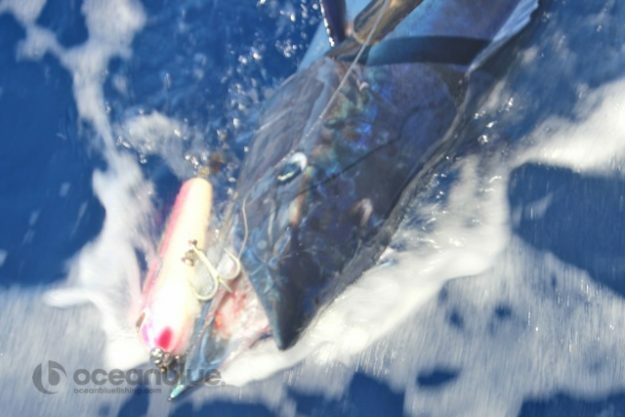 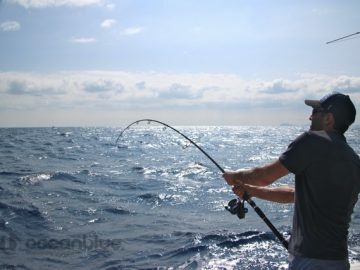 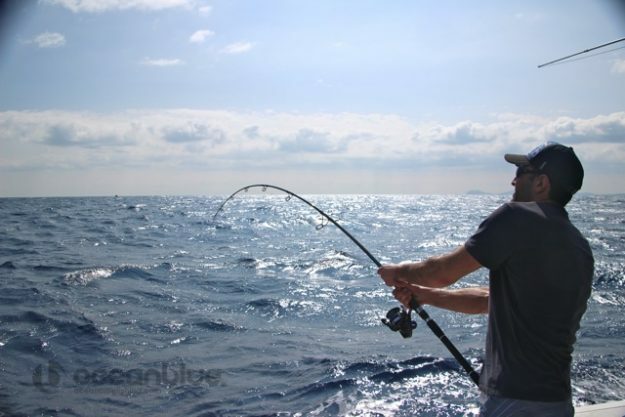 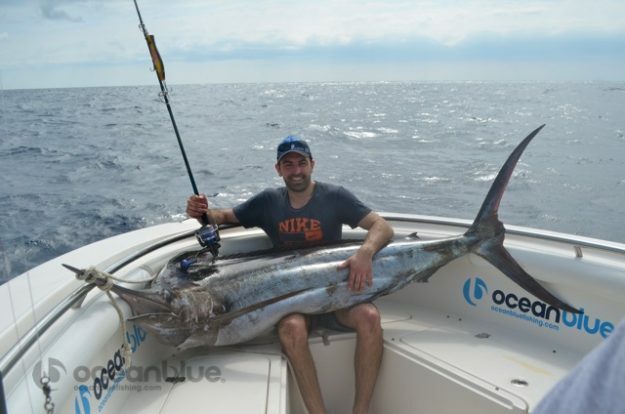 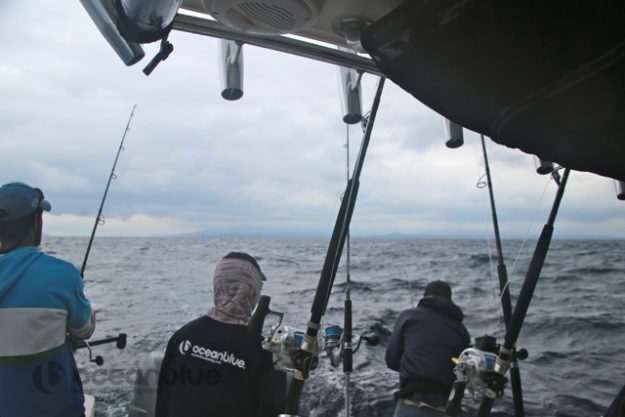 Soon enough, Steve was put to the test with a solid Blue Marlin crashing his popper rigged up to his spinning gear. 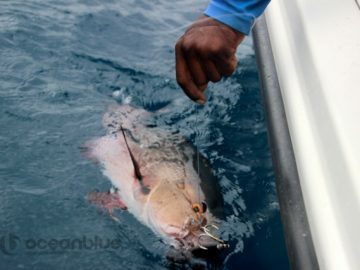 During the battle and on closer inspection, this fish had sustained serious injuries and it’s capture was inevitable. 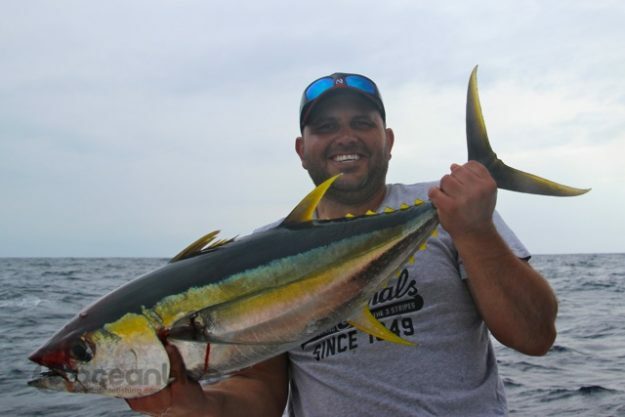 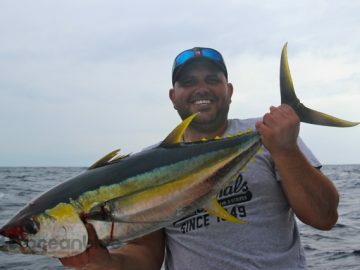 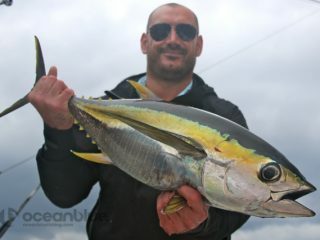 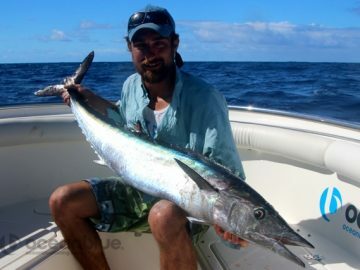 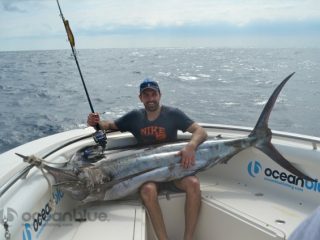 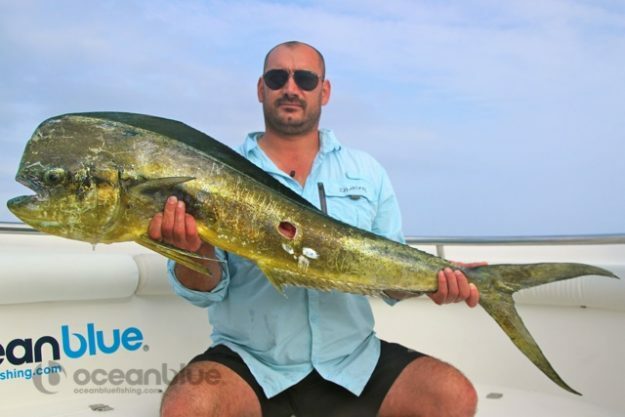 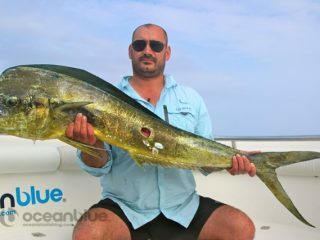 The rest of the days saw some nice catches on topwater for Yellowfin, Mahi Mahi including Dogtooth on popper. 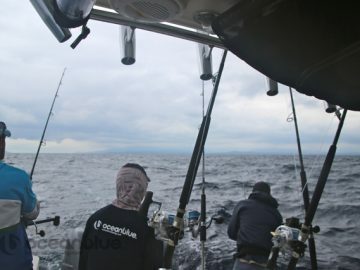 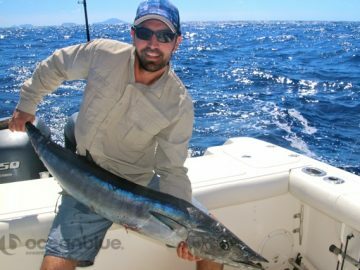 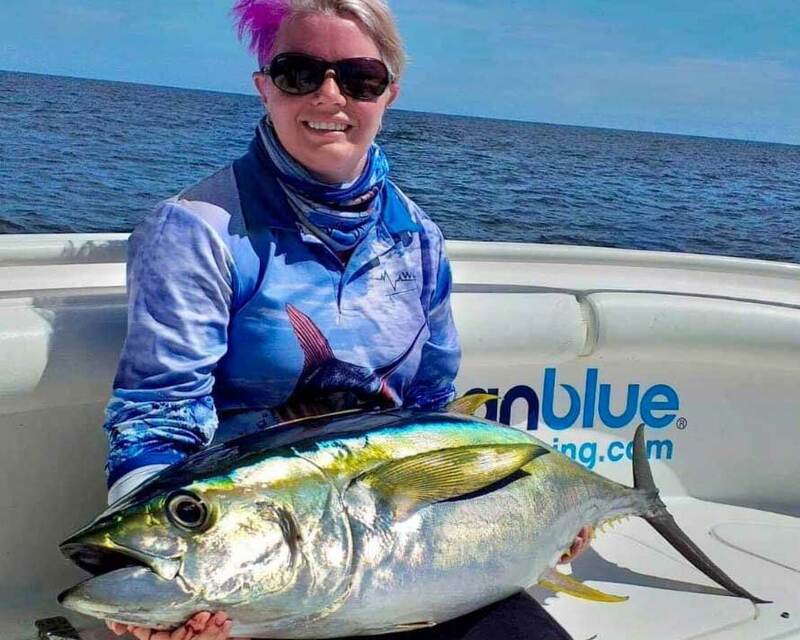 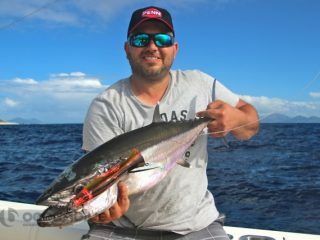 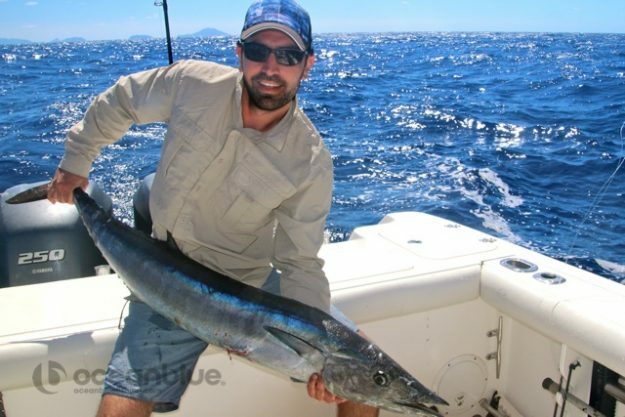 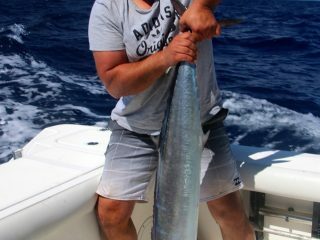 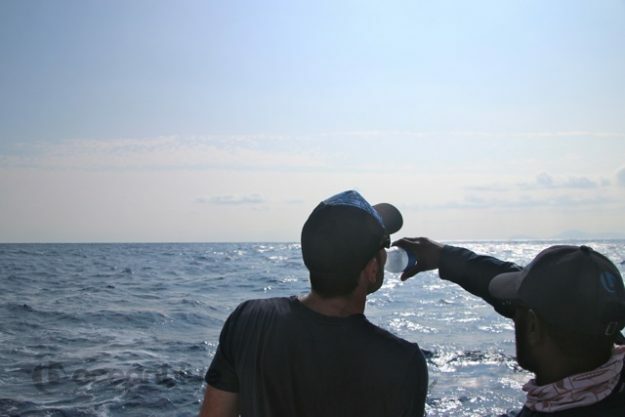 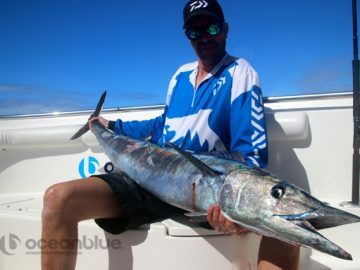 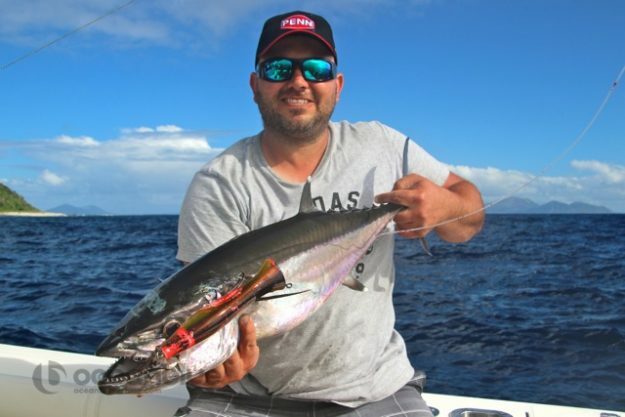 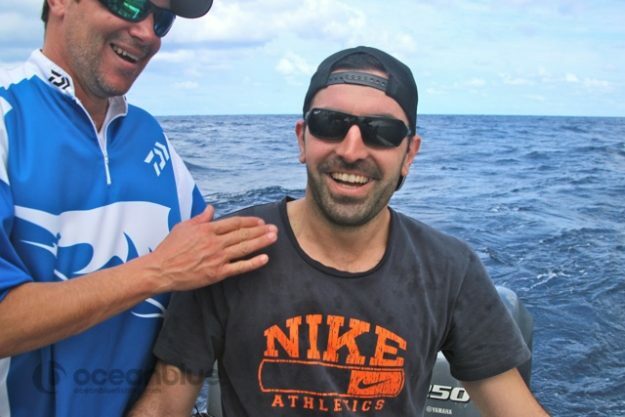 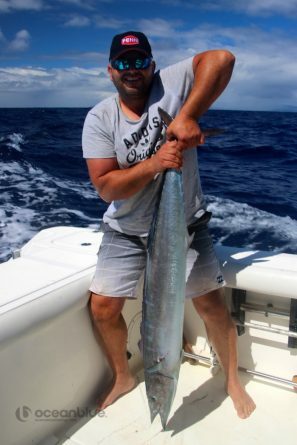 The highlight of this adventure was an ocean filled with speed and high quality, chopping Wahoo that were landed on rigged ballyhoo, minnows and stick baits on spinning outfits. 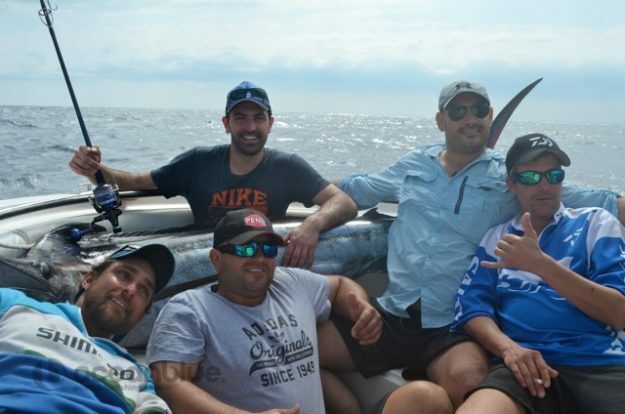 What a blast of a time for these highly enthusiasts anglers! Each evening these five mates enjoyed the onshore hospitality offered at Trees and Fishes. 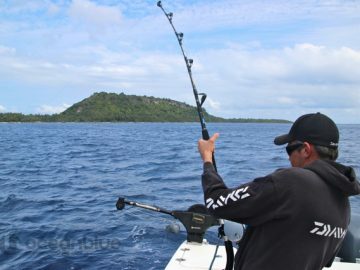 What else but to seat along our waterfront edge with a beverage in hand, spit fire, bait in the water the perfect setting in pursuit of another hard pulling predator. 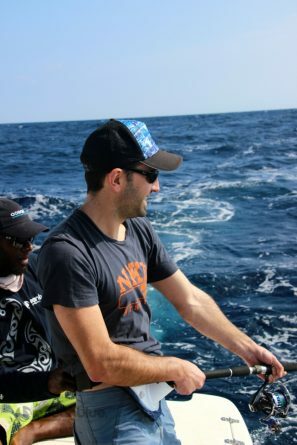 Squid fishing was also another highlight each evening. 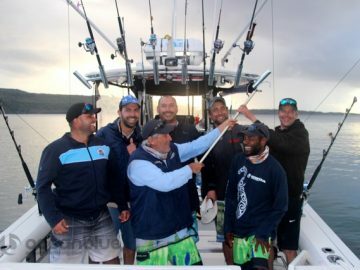 A truly unique introduction to our island life and I am sure this Ocean Blue adventure will be relieved for many years to come for these Ocean fives mates! Thanks for the great trip we all had a blast And hopefully can come back soon. 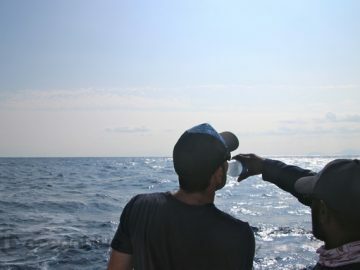 A Stay Beyond Our Expectations! 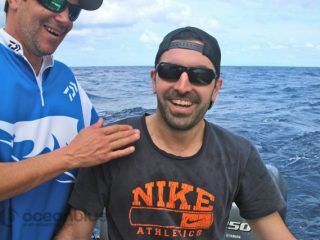 A Life Experience We Will Never Ever Forget!